From my earliest childhood, I always heard the future spoken of in superlatives: the best, the best possible, etc. There was an unspoken assumption that each human being was uniquely suited to something and that if they found that unique thing and worked at it, they could become the best at something. Some of my early successes revolved around the piano. With a bit of work, I was able to excel beyond my older brother (five years my senior). I kept up with other students of my teacher, though I noticed that I was not always on top. And then, I started Junior High. There, in my homeroom, was a Jewish kid (the first I had ever met). Sometime during the year, he had the opportunity to play the piano for us. We were thirteen, and this scrawny guy sat down and ripped out a Rachmaninov prelude with ease. I had never seen (for real) anyone play like that. I also knew that I would never play like that. Perhaps he had found his unique thing. As my world continued towards adulthood, and widened its scope of contacts, I learned repeatedly, that I was not the sharpest knife in the drawer. Though I had a bit of talent at one thing and another, I was pretty much above average, at best. The illusion of “uniquely suited” turned out to be a pep talk, but not the truth of our existence. We live in the culture of the pep-talk, whether it is directed towards us or not. Watching the next amazing teen on “America’s Got Talent” can be astounding entertainment, but also a reminder that most of us are not like that. Our mediocrity would make bad TV. Excellence is largely a myth and a painful one for many. It is also a distraction from what is truly excellent about everyone and everything. The modern cult of excellence is largely defined by our consumer economy. Excellence sells. There is always a message that if we found our unique thing it would have a unique place in the market. We would be productive, people would pay for it, like us, and we would be happy. This is largely untrue. Most people discover that no matter their gift or talent, that thing they do, over and over, is work. Sometimes we like our work, and sometimes we don’t. A Picasso can finish a painting and consider it garbage, even discarding it. A Picasso in the trash! While excellence is great and beauty is a cause for wonder, we do not rightly live as part of a marketing strategy. Within the market, we are almost all reduced to audience, ticket-buyers, shills for the card-sharps. It is not a wise way to live a life. I have imagined a normal day in a life, filmed in high-definition, carefully edited and produced with a breathless narration by Sir David Attenborough. As amusing as it might sound, the things that make up the content of The Blue Planet and other such creations are as mundane as a normal day in the life of an octopus. However, the film work manages to pay attention in patient wonder at what would normally pass unnoticed. Our lives are driven by false assumptions in which we become our own greatest disappointments, all the while wondering at the excellence of others. In truth, our lives lack true wonder. We do not attend to the things that are most directly at hand. That which is uniquely proper to each of us is not our marketable skill – it is our very existence! That we do not rightly see our own existence means that we fail to rightly see the existence of others. We become like a movie audience in which all of the real people sit in the dark, unaware of one another, with the digital images dancing on the screen as the center of our short-term world. Fr. Thomas Hopko, in his famous 55 maxims, mentions several times the need “to be small,” or, words to that effect. I would modify that somewhat by saying, “Learn to be content.” In our drive for excellence or constant improvement, we never learn the skills of being content with anything. I have known people who were very set on a career ladder and had no idea what to do when they reached the top. They learned everything other than how to live. Contentment allows us to remain attentive to where we are (and who we are). The drive of our culture always distracts us and focuses our attention to where we are not and to where we want to be. It creates an anxiety and makes our present life a distraction. The present is a marvelous place. It is also the place of the heart. With that, we should be content. Thanks for the reminder,Father Stephen. Contentment is so easy to forget. “The present is a marvelous place.” Your phrase, Father, made in think of a one year old child. If she is fed and clean, she is content. If she happens to see a bug crawling on the wall, she’ll watch it, perhaps be fascinated by it. If her eye catches yours, she will quickly play “peek a boo” if you’d like. She will be very present with you. If she sees you not, she may simply pull on her toes, or look at her chubby little fingers move…captivated by her “aliveness” to the present! Oh, that I had the heart and simplicity of that one year old little child…. Thank you, thank you, thank you. Just what I needed to read today. A reminder that all is well where I am. Thank you for reminding us that we are small and should be happy to remain so, Father Stephen! Your post reminded me of an artist whose heart rate was measured before, during and after his performance. His stress levels were by far the highest hours before going on stage. There is little stress in the present; most of the anxiety comes from worrying about the future; or maybe remembering about the past troubles. In his poem “Ithaca”, Seferis calls on us to be thankful for the journey it set us upon and not to complain if we find it “poor” or poorer than we thought. It is a sobering line; the end of our life’s Odyssey is what Dino describes as an encounter with the realisation that we had always been looking for God in all the wrong places. I fear I have misquoted both Seferis and Dino, but Dino has a chance to speak for himself. I hate to say it, but I understand this completely. It is not money or prestige that keeps me from being content. It is the perception I have of myself. I’ve felt unworthy way before I was taught to think this way. Although I do understand that it is to be seen in the light of Christ’s love, mercy and forgiveness. I am thankful for so many things. But content? Sometimes. Not as often as I’d like. Its a tough reality, Father. I too hope Dino refreshes us on what you think you mis-quoted,. Interesting that you mention anxiety. Today my 17-year old son showed me an article titled “The average teenager has the same level of anxiety as a psychiatric patient in the 1950s.”. I know I am not an example of serenity and calm when I nag him to do a little bit around the house on the weekend. It’s really hard to know when to push and when to just do things myself. Maybe he really is stressed more than I imagine? Thank you Father. I wonder how much this false narrative contributes to the violence of this world. I see this false narrative as a source of great discontent and I suspect violence grows out of discontent. “Keep your mind in hell” means just that: Never forget that you are not yet saved from hell for all time. There is no “once saved always saved”. Hell is always a possibility through negligence and forgetfulness; therefore, keep your mind in hell so as to not to forget what you have been saved from and in order to keep you out of what you have been saved from. The humility that it is intended to cultivate is this: Never think so much of yourself that you think your are beyond the reach of hell and cannot return there. Tonight my Priest told me that the Passions are never okay. I think it is because they always objectify us and/or others; they reduce us to less than we are in God’s eyes. This may be why we are so anxious or fearful of the future: we objectify both ourselves and the outcome of our hope(s). They can never be good because we are not good. Yet God loves us and calls us “very good”. Lord have mercy. The future is always contingent. Although love throws fear outside. We either act wisely or unwisely. We allow the passions get the better of us or we dont. Our actions have consequences. Could you please expand on the “acceptance of conjuncture” part? O Lord, grant that I may meet all that this coming day brings to me with spiritual tranquility. Grant that I may fully surrender myself to Your Holy Will. At every hour of this day, direct and support me in all things. Whatsoever news may reach me in the course of the day, teach me to accept it with a calm soul and the firm conviction that all is subject to Your Holy Will. Direct my thoughts and feelings in all my words and actions. In all unexpected occurrences, do not let me forget that all is sent down from You . Grant that I may deal straightforwardly and wisely with every member of my family, neither embarrassing nor saddening anyone. O Lord, grant me the strength to endure the fatigue of the coming day and all the events that take place during it. Direct my will and teach me to pray, to believe, to hope, to be patient, to forgive, and to love. Amen. Ohhh…. I see now… yes, that makes sense. A hard saying, but makes sense. Thanks. In short, I wanted to “excel at my studies and work, all for the greater glory of God.” After one and a half decades of trying to live that kind of life, it seems to me that my ideas were mistaken. But I am not yet sure what ideas to put in the place of these broken ones. That’s why I keep reading your blog with great interest, since it seems to me that I find a glimmer of light here, but the coin has not quite dropped for me. As you say so aptly, finally a kind of envy sets in: how is it that other people (even those who are not Christian or even atheists) seem to be progressing in the virtues (and here I selectively look at those qualities which are dear to me, such as intellectual accomplishment, for example) while I alone am left to flounder in the pits of anxiety and self-sabotage and finally have to face the mocking of others? Why is someone else a Elon Musk or a Stephen Hawking while I cannot escape being myself in spite of “trying hard?” Why do I have to bear the shame of listening to the “I told you so”s of those around me who openly live a life of relativism and pragmatism? In the end to my horror, this constant being my own greatest disappointment leads to becoming angry at God: Why does He let this fallen world continue? If as the theologians say, He has all perfections in Himself why does He not be satisfied with Himself (and the unfallen angels too, perhaps) and why doesn’t He dissolve the existence of us fallen contingent material beings just as a scientist might cancel a failed experiment? What sort of life is this if we have no assurance of moral improvement but have to spend around seventy years simply bearing the trial of being unpleasing to ourselves? (or standing at the edge of the abyss and occasionally withdrawing for a cup of tea, to put it in another way) Does the final production of a handful of Saints justify the physical, and what is more important, moral and spiritual frustration of the rest of us? In another article, there was a discussion about Dostoevsky’s Brothers Karamazov… The character of Smerdyakov frightens me… perhaps I will be likewise unreachable by Grace throughout my life… I know that these are just thoughts arising from what you would call the “ego self-image” – I try to dissociate myself from them, and it works for a while, but then the anxiety-inducing gloom comes up again like a ball I’ve tried to hold underwater but has escaped my grasp and comes up to the surface again. (Sort of like the Rover from The Prisoner, if you get the reference, ha ha) . NSP, YOU HAVE PUT INTO WORDS EXACTLY HOW I HAVE BEEN FEELING. In previous and more atheist-years of my life in talking with people about prayer and God I would insist “A difference that doesnt make a difference isnt a difference. Like adding by zero, or multiplying by one.” How many times can I add by zero and see no change? An infinite number of times. How many times can I pray and see no difference? An infinite number of times. My question is about expectation. Is it necessary to expect God to act? Perhaps expecting God to be responsive is hubris. Maybe we can pray and lead a christian life with no expectation or concern for how things will turn out. But then there’s this whole question about ,practocal atheists’ in the church. Try switching off the Wi-fi. Forget about cleaning; my boys would build the Parthenon, a Pyramid and finish off with the Colosseum to get me to switch back on. I won’t misquote anyone here, but I think I’ve heard Fathers correct these maths with God’s maths: to all our series of zeroes, God will add a number at the left and give them all significance. This is also the knowledge that ‘I have been given everything already’, even if in the form of a seed, and all that I need to do is cultivate, according to the commandment, content and self-reproachful (again, according to Christ’s commandment [Luke 17:10]). To stay in that sacred present moment –here, (in the heart) and not somewhere else with the mind, and now, (under His gaze)– where one encounters the eternal One face to face, this «acceptance» is a prerequisite. It liberates us. It eventually prepares the way for stability, which is what man hasn’t got and God has –and the saints slowly but continuously move forwards towards in their pursuit of God. there’s nothing to clarify I think that Odyssey image is perfect. Most of what you have written about being fully attentive in the present moment, keeping the attention focused on the heart, and the stability that emerges from ‘thy will be done’, I have also read in psychology, Buddhist, Sufi, Kabbala, and Daoist literature. Do you think all these sources have merely parroted Orthodox practices or do you think something universal is at work? Even the Orthodox treatment of the passions directly parallels Hindu and Buddhist treatments. Not to interrupt, by my own two cents worth. 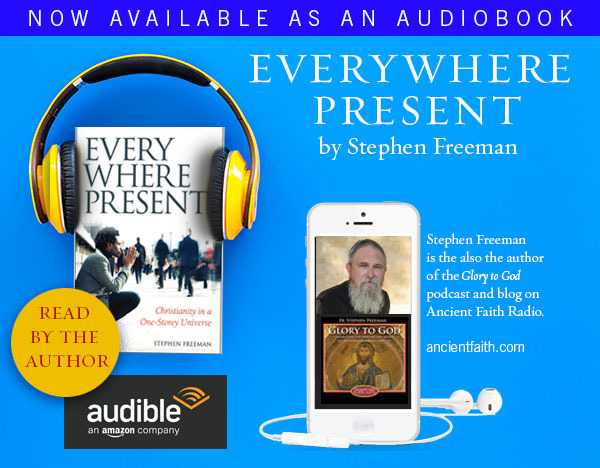 The “mindfulness” of the present moment is indeed a common spiritual practice – but there is an additional Christian element when the nous is cleansed and our attention is on God Himself. Not a forgetfulness, etc. And the treatment of the passions certainly has parallels, though, even there, it is largely on the surface. These parallels should not surprise us – since what we are looking at has some basis in experience – and the experience is a common human thing, not just driven by an ideology. The same religions also eat food, etc. But the difference remains. 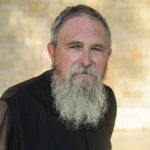 The goals are different – many aspects of the work of grace are quite different – and Christ, at the center of Christian praxis, has no parallel. As with fasting, parallels abound and that’s hardly surprising. It’s not just that the fullness is to be found in Orthodoxy however, there’s often an additional key difference in that the motives do not spring from Christ-centered-ness. Even humility and ego effacement can have an ego basis in many eastern practises once analysed discerningly, whereas the basis in Orthodoxy is the “Thou” (which means a facing towards Christ that’s exclusive.) Of course Buddhism might have this far more than Suffism for a number of reasons. There it is. It has come to my attention (with ever increasing frequency over the past year or two) that I have spent most efforts towards God, perceiving myself as I relate to Him and others. As you have put it, Father, in your comments about modernity, I am my own “project.” And I have all kinds of arbitrary measures, some that I have held onto for years, and others that I have “instituted” more recently. These have not been conscious per se, but a natural outgrowth of my own version of salvation. Graciously, God has, along with revealing my misdirection, also revealed that it is he who is the subject and I am the object (grammar metaphor). My work is to, as our Savior, Jesus, has put it so well, to do that which I see my Father do. In other words, making every effort to perceive Him, so that the transformation that I seek is truly of his initiation, mode, and character. In these moments of beholding him, I am truly content. I found that another part of the work, is to resist the temptation to “store the manna” of that moment, but to welcome him again as he wishes; and not based on perceptions I may have formed from any experience of his holiness and love. Yes. I appreciate the “store the manna” thought. Social media only makes this far worse. Now, you can see the highlights of your friends’ lives on any given day and then contemplate your mundane, unaccomplished existence as you go take out the garbage. Jeff, you write that you are “making every effort to perceive Him, so that the transformation that I seek is truly of his initiation, mode, and character.” This statement to me entails something of a confound. How would you distinguish between transformation that is intrinsic to your “every effort to perceive him” (because that in itself has to have some effect) and transformation that is “truly of his initiation”? Of course, these are the kinds of questions that someone with no spiritual experience and as of yet no real love of God must ask. I wonder if these sorts of discussions ought to be restricted to people who already have some actual experience to speak of these things. I think that the irony is that everyone who has lived even a n hour in the womb has an experience of God that is sufficient to grasp there’s a You-my-cause and an I-your-dependant. What makes it harder is all the other experiences we heed and assign precedence to. Children are what we are commanded to become like. Although even as innocent ones we still -like Eve- enjoy putting aside watchfulness to entertain gullible curiosity and converse with the serpentine mind .. I was somewhat flummoxed at how best to articulate what it is we do to be dependent on God. I seem to be quite adept (or at the very least, I’ve spent a lot of time doing it) at forming a perception of myself and my own activity. However, describing the turning towards God and away from my own devices? What does that look like? the culmination of a long and undetected inner struggle. A caring and kind superintendent walked with me to the final decicion. It was a watershed moment. Every since that day, it’s been listening to answers to questions I didn’t ask; and answers I didn’t want to hear, to questions I did ask. A beginning of a sense of knowing I didn’t know existed or was possible. I didn’t know what I didn’t know, and now, I realize I know less than I ever thought I did. And yet, in spite of this sense of loss, I am more at peace than I ever been. It’s a gentle place. I find I am striving less. Understanding seems to be less important, but vulnerability, intimacy, and the almost tangible sense of being known draws me. I think this rambling comes from a good place. Please forgive me if it is all too much to follow. But, yeah, that’s it for now. Simon, whatever parallels you may see in other spiritual paths and Christianity, we seek union with the Incarnate Lord, Jesus Christ, the Word made flesh for our sakes. It is possible to fear not, even in hell, because He is there with us. All other paths of which I am familiar seek, in one way or another, the annihilation of the human person and/or release from the creation. Only in Christ are we transformed and made new in the fullness of who we are created to be. I admire immensely how authentic disciples of Christ consistently manage to see good where most see only evil – even when this ‘good’ seems irritatingly-hoped-for-only-in-the-future. They live that good through faith now! It’s as if they live the scriptural “You intended to harm me, but God intended it for good to accomplish what is now being done” (Genesis 50:20) that Joseph exclaimed at the very end of his revelation to his brothers (which parallels the final revelation of Christ to all) at every single moment –even during tribulations that would have others see no light at the end of their tunnel. Such do not allow themselves to veer away from that Faith for any reason, no matter how challenged to the contrary. And it is mainly their continued faith while being challenged to the opposite that makes them truly great in the eyes of God and man. How can the world as icon not become palpable to them? May God grant us all such a Faith. Thank you for those most excellent words to ponder. I give thanks to God our Father for your encouragement. Father, like you, I am good–in some instances very good–at more than a few things, yet, I am superlative in none (except leather carving perhaps, a dying art). That reality has taught me over many years to be more content and less competitive while entering into the enjoyment of other’s skills and accomplishments. Thank you. I’ll be hanging on to that…. NSP – The Rover from The Prisoner! We are brothers, my friend. I still have in mind NSP’s statement above, about the “raw discussions” on the blog. Your words, NSP, are deep and struck a nerve within. I appreciate your honesty. I understand these inner struggles you speak about. Not in the same context, but generally in the subject of this post…contentment, or rather, the lack of. I have been on an earnest search here to gain some peace in certain difficult areas of my life. I ran across an article that I thought maybe would help many of us here who struggle, like myself, with an unhealthy identity. The topic is about gender identity, but the speaker, Dr. Philip Mamalakis, proceeds with a long discussion on the formation of a healthy identity through selfless parental love, and what happens to us, in this fallen world, when that love is marred. What he says here I believe each and every one of us could relate to in one way or another. It’s a long article that, for me, will have to be read over again. He is very thorough and insightful. Hope it is of some help. With the pressure to conform to the goals of this culture–to excellence, manifested giftedness, ‘winner’, top place, success, etc, the radical hierarchy shown in Christianity where the first is last and the last, first’ apparently is hard to understand. And if it is understood, it appears so only abstractly, not so much in the quality in the way that lives are lived. Not moving away from suffering, as it manifests, which is more than accepting ones’ limitations but embracing them to be freed from the pressure of this culture’s norms, takes a great deal of effort. Real self examination, in other words, is a process in which we have an openness to one’s own humility and foibles, and it isn’t something we’re rewarded for, except in the life of Christ. We are not really taught how to embody humility, in fact we are taught the opposite. Hubris, one-upmanship, conversational and behavioral swagger (I might be making up new words), various expressions of entitlement, are the normative characteristics we’re taught, as Americans. Perhaps I might sound too critical, but it seems these are the characteristics of pride that impede our walk in Christ. Once again I really appreciate the juxtaposition of pictures. The freedom of ‘child’s’ play, to to be ‘oneself’. The treehouse, we built as kids for our playful stories and roles. This life has a potential to be a ‘treehouse’ for adults–would that we could shed the husk of our supposed reach for excellence, our worries about tomorrow, and just live, play and love. And I see the news and the abject horror of events in other places in the world, and see their connections to my life. I pray, feeling helpless at times, and hoping in God’s work and giving thanks for all things. Thank you Paula for the link, his talk was very edifying and reminded me of some of the things I was taught in my catechism. I intend to listen again. sorry Fr Stephen, misspelling your name!! I think the reward of life in Christ is the very purpose of all the difficulties. It really is a reward…without words to explain, He brings us peace, even if it is only in moments. “Behavioral swagger”…I like that, Dee. I don’t think you are too critical at all by saying pride is the reason for the continued violence, oppression, and division. It is a condition that pierces though each and every heart. It is a hard fact to face and we cover it up in many different ways. Here’s another thought…an aside, really. The other day my godmother said to me, as I was lamenting the death of my brother who suffered greatly, remember humorous, light-hearted events in your younger days that involved your brother and think on them. Right. On the way home I’m thinking, why on earth can I not think of a humorous light-hearted event? I thought, there is something drastically wrong with this. I can say, though, as far back as I can remember, when I think back, whatever area it may be, family, school, friends…it was always cloaked in sadness. Something was desperately wrong…so many things contribute…I don’t want to get into it now. Except one thing…all the hard work to conform, transform our broken lives by the love and mercy of our Christ…He truly is our Savior. I’d be twice dead, a long time ago. I marvel at His greatness, what He has done and is doing to bring all things unto Him. This is the only thing that matters anymore. Thank you all for bearing with my words. Thank you Father Stephen for this ministry of yours. You truly are an angel. Very patient. A key to the humility of contentment is very much found by paying attention to the present – to this day, to this moment. “My salvation” can be part of that American ison (drone note) “how am I doing?” “How am I doing” is almost always the wrong question. “I am doing” is the right answer. The thoughts of success, etc., are all illusion (and delusion). “Success” is just a narrative – a story we tell ourselves – it is not the reality of our lives. Even the most “successful” person in the world still has to actually live from moment to moment. If they get a stomach bug, they feel just like you and I do – and all the money in the world makes no difference. Getting out of my head is a daily exercise. Inside the head (logismoi) is mostly the noise of injuries, shame, etc. The reason is not because that’s all that there is in our heads. The reason is because the places within us that suffer most from these wounds – literal places in the brain and neural pathways – are the ones that create the noise that we call logismoi. The logismoi are not the sounds of our thought – they are not really thoughts. They are the sounds of something closer to pain – but of a different sort. The logismoi do not respond to talk or thinking back at them. They can be quieted primarily through calming, comforting reassurance. “I have quieted my soul like a weaned child at its mother’s breast” (Ps 131:2). We should treat the logismoi like the sounds of a 2 1/2 – 3 year old child who is upset. That is pretty much the most accurate depiction of what is going on. Along with that, we pay attention to what is at hand – to God at the moment, to His creation at the moment, to the task at the moment. The brokenness within us, so much of it brought forward from childhood, is exacerbated by many of the things within our culture. Many of them cannot be fixed – they are simply wounds and we will never feel good about them (why would we?). When we think about those for whom we grieve – we should not dwell on what we can retrieve from memory. They are alive in Christ and are accessible to us as they now are. When I think of my parents, I work at not remembering past wrongs, etc., or even too much of the other stuff. I remember them now – before God. I talk to them from time to time (not that I get answers very often!). We are in a new place in our relationship and it is worth concentrating on and celebrating. What you just said helps me understand what has happened to me as I have spent time in solitude and meditation that resulted in what I described above! Sweet! I’m referencing this bit in particular…but all of your most recent comment explains so much for me. Just your words are soothing. Now in retirement, I can look back and see that so much of my life was lived thinking of the future, not being present in the present moment. And life passes….Just this morning my wife and I were driving past the junior college I attended my first two years. I commented that I had started there 50 years ago this month. 50 years…oh my! So, young folks, Father’s words are so apropos. Live in the present moment, live in its wonder, live in the heart. Again, as Fr. has said, the present is the only place where we can encounter God. And thank you for your words about your own parents. Mine are in God’s eternal presence also. Yes, the relationship is different. Yet, they live…. The inequity many suffer is horrifying. I cant hardly stand to think about it. We hunger and thirst for having these inequalities set right. Father, God bless you…thank you. And thanks to all for your comments. Most helpful are your words about logismoi, what they are (not thoughts but the sounds of pain. That’s heavy, Father) and what they do and do not respond to. The verse from Psalms is beautiful. I will remember these words. Time to start posting notes for reminders. It is so helpful to know that rather than ruminating on the past (you say you “work at not remembering past wrongs or even much of the other stuff”…yes, this must be “worked at”) , it is best to remember them in the now…where they are at now. And the very same place as we *now* are. Much to think about and be mindful of. Father, if this website is not sanctioned, my apologies, and of course, if you must remove it, I understand. The wisdom of being in the present moment and “having the Lord always before me” (Psalm 16:8) cannot be overstated. There’s a certain concept of exclusivity at work here of course, at times, and it’s a notion that can make one almost rebel against such seeming ‘folly’ because it is excluding of everything else… Such exclusivity is utterly real in its beauty and it’s spiritual fortification though. This notion of exclusivity, this: ‘only here, only now, only God’ constriction, (at least of the allocated times towards this) can often seem rather selfish or too troublingly narrow-minded to even try out – to , really, try out… Particularly when one wants to bring into prayer their concerns for others, their pains for others before the Lord at that allocated time (more so when this is at the very start of their spiritual life when they are extremely far from being moved towards such ‘intercession’ through the Spirit of God and the drive is quite a mixture of other things). Besides, in prayer-as-presentation of my being before Christ, even this breach of exclusivity –professedly for the sake of others– would be rather like some bride [an image of the soul] whose bridegroom [an image of God], (in night-time silence, alone together at last, and after all conversations about friends’ problems or frivolous interests have ceased) prepares to exclaim his desire for her, but, alas, she goes and spoils the atmosphere by trying to start up yet another chat about the same old frivolities of the day, bringing in names of others at such a ‘sacred’ time – as if telling him she is not interested in listening to him say what could only be said then, but only in voicing her never-ending activities as she has done all day long to all others. That’s why it’s good to have set times for this type of prayer and set times for that type of prayer and therefore sort out this potential problem more pragmatically through scheduling. The insufferable inequalities of the world, which Simon’s last comment reminded me of, can only be interpreted through the prism of “remember that in your lifetime you received your good things, while Lazarus received bad things, but now he is comforted here and you are in agony”. What this eschatologically-anchored view of the parable of the unsympathetic rich man provides us with, is the knowledge that we can have access to the so-called ‘benefit of hindsight’ here and now, through faith in God’s providence for all –despite any appearances to the opposite, (this person’s suffering or that rich man’s exploiting)– and interpret inequity without blaming God – quite the contrary – and remain calmly in the exclusive peace of His presence even in the face of such challenges. A very helpful article, thank you. I’m sure the first time I came across the word logismoi was on this blog. Father has spoken about it from time to time, but like much of what I am learning, it takes time to sink in. Most important though, is putting these things into practice. As you say, we all want to know “how to handle them”. I’m glad he went on to explain how to ignore them. I noticed he mentions the neurological aspect, as did Fr. Stephen, where entertaining the thoughts cause growth of those brain cells, and in neglecting them, the cells will eventually die. He says, “Thank God we don’t have to entertain, analyze, dissect, or interact with evil thoughts to overcome them. We can ignore them and focus on Him.” Sounds easy, doesn’t it. Thank you Dino. I was dividing my prayer between intercession for others (mostly family and friends) and then attempting other time exclusively before our Lord…even then concerns for others invade or “worries”…those infamous logismoi. I was wondering if dividing prayer time like this was okay. Your words help. I’m afraid that though I have prayed for half-century, in many ways I am still a novice. I’m sure our Lord accepts baby steps even from an old guy with a bum knee. Lord have mercy. I use the term “logismoi” a little more broadly than the article. I am including things that are purely generated within us and not just “satanic” suggestion. It’s difficult, frankly, when using language regarding the work of the enemy to know exactly what is meant. I think we have images of what it means that are not quite accurate. Though such external suggestions are, no doubt, real, the bulk of the noise in our heads is purely natural – or purely human, I should say – generated by the wounds that I mentioned. It is possible, for example, to actually write down what sort of things run through our head, and pretty quickly determine their origin. I can recall a period of a clinical depression when a not uncommon thought would be something like “I’m going to die.” It was not a frightful, fearful thing, just something like a sigh. But I recognized it for the dark sound of a depression and tended to it in a proper way. Generally, the thoughts are generated by shame or its partners, anger and sadness. Goodness! Dino…God bless you too! I’m drinking these words here today. Such insight. It’s almost too much. But I want so to understand. Thank you, for I never considered the “‘only here, only now, only God’ constriction” you speak about. Matter of fact, I thought it more appropriate to intercede for others before myself. I’m glad you mentioned the “allocated time”. Your analogy of the bride and the bridegroom alone together couldn’t have been more clear! Now is the challenge, Dino, through practice, to live, to actually live, in the here and now. So just do it? Start where I’m at, without fear of failure, from this moment, to be ‘in the moment’, to consciously be aware of myself in Christ, that He my all in all? That ‘pray without ceasing’? I dare not ask anymore questions, because then I’ll start with the “buts”. I trust what you and Father and that article is saying. I ask for your prayers. Father…I did notice that you do not include in your teaching on logismoi the satanic aspect. It is wise, because you are right, in the long run it is not very helpful in dealing with the problem. I would say it is safe to acknowledge that the warfare is real. Yet I have clearer understanding of the problem by the way you teach it, because frankly I know they are from “wounds”. And I know that Christ has conquered Satan. yeah, just that. For instance, I’d consider it a great achievement if someone can brush their teeth while retaining continuous the presence of the Lord throughout in that ‘here’ and ‘now’! On a more general note, we need that sense of living God’s gaze upon us in the moment, to get a taste, and thus ignite a reliably true trust in our hearts: we do not know the way in which God sets our lives and we ought to utterly surrender ourselves to Him to rule as He knows best and not as we think. [Abba Dorotheos of Gaza is very clear on this]. Otherwise we will have great difficulty if we start wanting to judge (through human criteria) what is happening to us when it comes to God’s peculiar ways of providence. So, when we are surrounded by any type of difficulties, [natural logismoi are included under ‘difficulties’, since scripturally, “through many tribulations we must enter into the kingdom of God” and no description of specific types of sorrows is provided] we ought to cry towards God: “Lord, may your will be done as you know only”. Because many things are arranged by the providence of God differently than how we think or what we hope for. And the hopes we had concerning certain things are often proved wrong after time so that those who keep to longsuffering trust and Eucharistic contentment, focusing and re-focusing upon the Lord’s will, ignoring and re-ignoring distraction, especially in the face of tribulation [or just in the presence of sidetracking thoughts] are proved the wisest. I love this prayer, and have for some time. I frequently find that I’m not sure what to say, or there are no words for it. I go quietly into the altar (during the week) and stand there. Standing there, I think, “Pray in me…” or words to that effect. I read somewhere recently that just the fact that we confess the Lord Jesus Christ as the Son of God testifies to the Holy Spirit actually praying in us… that we could not do that without the presence of the Holy Spirit… How much more true must it be for you when you pray in the altar! Karen…beautiful prayer. It does fit very well the discussion today. I copied it and placed it in my prayer book. Thank you! Thank you for your additional comments regarding the term “logismoi.” If I remember your earlier comments, this one parallels and reinforces some of your their content. I’m glad to be reminded that, yes, “the bulk of the noise in our heads is purely natural – or purely human, I should say – generated by the wounds that I mentioned.” And there it is, it was your comments re wounds that I found especially freeing when I read them. Having listened to most of your podcasts, I do particularly remember your insights on shame. It would be good to revisit those. I remember them being quite helpful at the time. God spoke his wisdom through you. In giving you the timber of your voice and your gift of phrasing, many a morning prayer unfolded around me, drawing me in and setting the course of the day. My deepest thanks to God for the light he keeps burning in you. Thank you for posting this beautiful prayer. It’s going up on my board tomorrow. I’m glad you found the article helpful. I’m also glad it generated other comments, as the ensuing discussion helped me get a better grasp of the concept. Prayer request: our son-in-law, Lance, was diagnosed with stage 4 kidney cancer last Thursday. We are now at MD Anderson in Houston. A procedure at 2:00pm is critical for his survival. If successful, his liver will likely start recovering and then, immunotherapy may make it possible to surgically removed the tumor which is reaching toward his heart. He’s young and a fitness fanatic. Total surprise. At these points, all the thinking stops and there is only this moment. Literally. This place seems very sacred to me…the illusions are stripped away. Everyone you see in the waiting room and halls is in the Mandorla between heaven and Earth. You and Lance are with me in moments of prayer today. God draw both of you close. Prayers, Geri. Lord have mercy and compassion and keep you and yours close. Geri…God be with Lance, you, and your family. I pray. Lance, you are in my prayers…praying for you, your family, and all those who love you and are close to you… May God be with you all, Geri. Thank you, Paula. Again, from the St. Paisios Monastery in Arizona. I am wearing a Prayer bracelet from there…made of the tears of the Mother of God seeds. Glory to God, Geri. Such holy connections! May She pour out Her blessings to Lance. God bless you all. 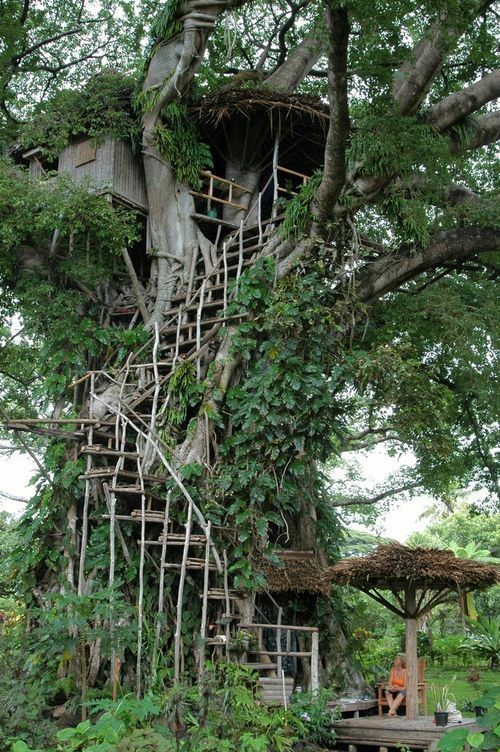 I could be quite content with that tree house. It’s beautiful, and fits in perfectly with nature around it. I also began to embrace boredom, and the feeling of calm and serenity and even happiness that came from that. Then I began to crave boredom. By boredom, I mean just not getting caught up ‘excitement’ or ‘adventure’ or any of the other things spinning around me that are the lives of others who want to live the fast-lane life. I’m getting too old for that, and all the chaos and drama that comes with it. I love where my life is right now. I too do not like the noise and chaos that surrounds me at times. We were in a large restaurant the other day to celebrate our anniversary. The food was excellent…yet the noise level was way too many decibels for me…chatter of others, clanking of dishes, TVs everywhere. I was uncomfortable. I probably am just way over the hill! Yvette, I also am content with my life right now. Thank God. Father, if you want to delete this, that’s okay. Off topic. If I read this article every day it would not be enough. I am an introvert’s introvert and have often felt that my life had little to no impact on anyone beyond just my immediate family. I have at times been in despair over the state of the world and not knowing where I fit. I have had a career as an educator in the past but I had a third child in my 40s and decided to stay home with her. My life at times seems so small and insignificant but I really cannot say that I feel “called” to any particular ministry in the church other than helping when asked, praying, and just being present to my family. When I have tried in the past to “put on” a calling it generally ends in confusion, leading me back to just focusing on the day to day. I think all the messages we are bombarded with saying “You have to do something right now or you are a bad person!” (which I know you have also written about) are just true enough to cause an inordinant amount of shame in some of us, myself included if I am not careful. thank you so much for this encouragement. How profound that was for me when i first read it.